Another year done and dusted! 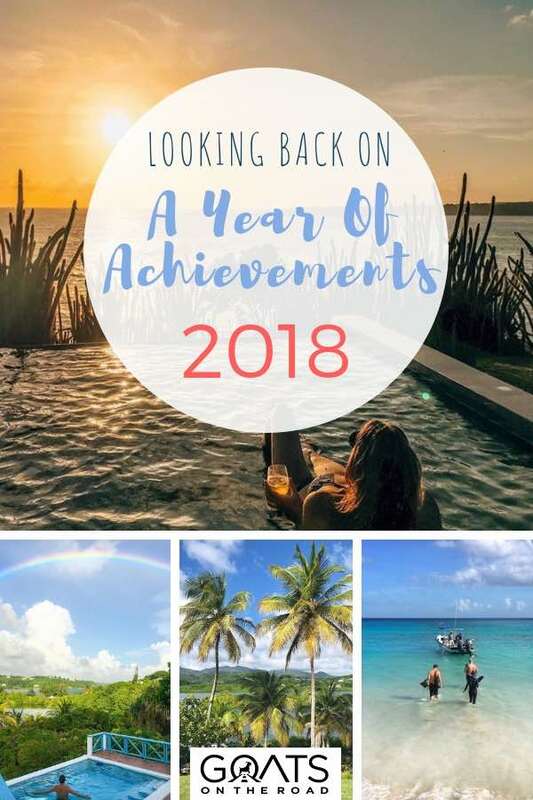 2018 may not have been as adventurous or travel-filled as our previous years, but it’s definitely one of our favourites to date, and was exactly what we wanted and needed at this point in our lives. That entire paragraph is true, and we accomplished all of those things in 2018, except for “exploring somewhere new”. That’s right, this is the only year since we’ve been on the road that we haven’t visited a new country! This year we repeated countries, rather than adding any new stamps to our passports. It’s actually hard to believe. The goals for our health, business and personal lives were all met this year. Here’s a look at what we accomplished in 2018. As we rang in the new year in Mexico with numerous family members, we spent basically all of January deciding where we should go next. This was something we had struggled with for the past couple of years. 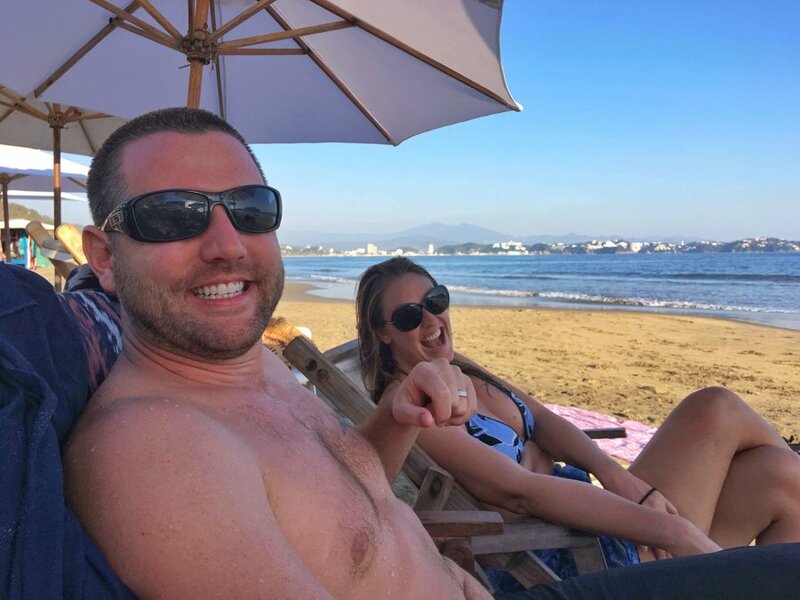 Mexico is great, but where should we go next?! It should be easy to figure out a place to go, there are numerous countries we’ve never been. But, there wasn’t somewhere that was calling us, somewhere that we could lead a healthy lifestyle, while enjoying cultural experiences and expanding our business. We couldn’t find any cities that suited our wants and needs, or any apartments that we liked (in our search, we almost fell for an Airbnb scam). We’d been so busy looking for somewhere new, when all along what we truly needed was to return to our happy place. We arrived back in the Caribbean on February 2nd and immediately we knew we had made the best decision possible. It felt right. 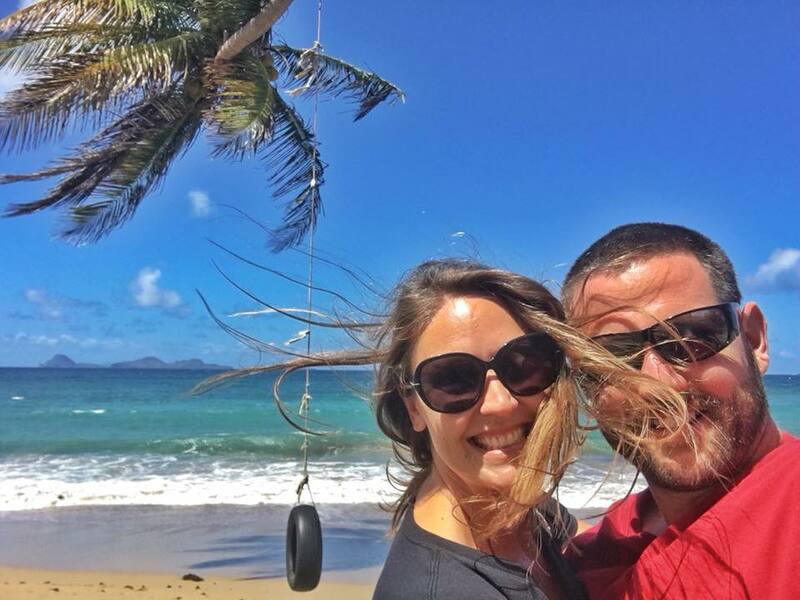 Once we made the choice to come back to Grenada, everything fell into place simply and easily. This is how we knew we were on the right track. While in Mexico, Nick and I discussed our ideal living situation – what it would look like and how it would feel. ✓ We wanted a place to live that was on the sea. ✓ It should be open and airy. ✓ It would have a pool. ✓ It would be bright and colourful. ✓ The location would be in a quiet, peaceful area. ✓ We would be surrounded by nature. ✓ It would be in our price range. The house we ended up renting in Grenada checks all of those boxes, and more! It has exceeded our expectations and we couldn’t be happier. In this case, it was about who we knew and we’re forever grateful for the connection. Our rental checks all of the boxes! 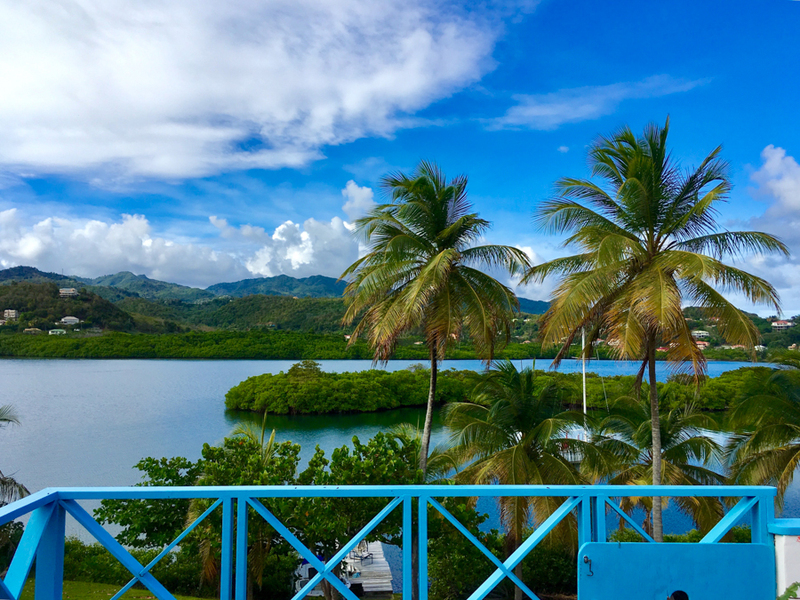 Since Grenada isn’t exactly a digital nomad hot spot, we weren’t expecting to find blogging friends, but rather a group of like-minded people our age. We now have a group of amazing friends who are all our age, and a few of them live just a few doors down. We’ve expanded our group of Grenadian friends to include more awesome humans (and love learning more about their customs and culture). Even though we didn’t expect to connect with any bloggers, Spare Dog’s new pet sitters (The Dharma Trails) started their blog through us, and have a strong social media presence as well. We’re able to chat with them about the online world, while enjoying hikes, meals and drinks together. Amazing. Another bonus of living here, rather than passing through as travellers, is that we get to be more involved in the community and give back to an island that gives us so much. We’ve done quite a bit of donating and volunteer work over the past year – with animals, children, the elderly, entrepreneurs, and the environment – and while those experiences were incredibly heartwarming, there’s always more that can be done. This is the first time we’ve had a base since we started travelling. Somewhere we can travel from, and return to after our trips. Staying still has given us the opportunity to explode our business, lead a healthy lifestyle, enjoy some hobbies, be a part of the community, and have fun with friends. After a year of overindulging in 2017 we ended up with “blogger bods“, and vowed to be healthier in 2018. 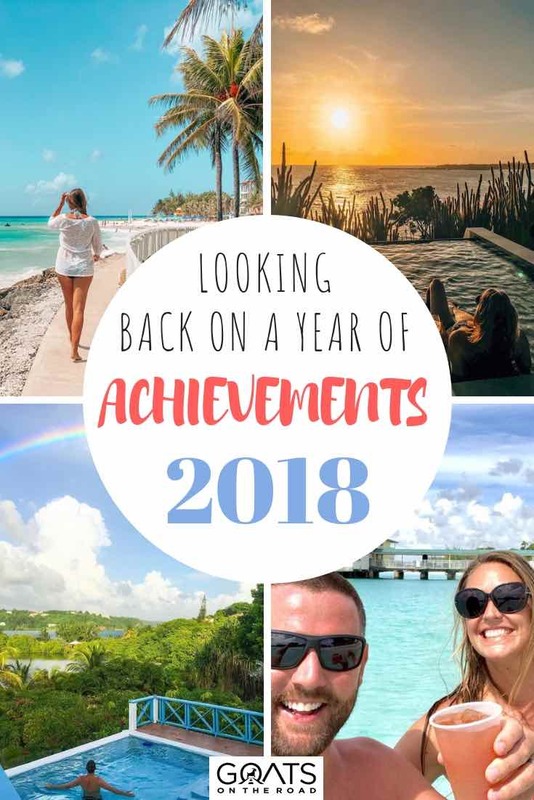 As soon as we landed in Grenada, we took on that challenge and dove head first into a detox from alcohol and sugar, plus eating more wholesome meals. After about 2 weeks of this healthy eating, Nick lost 20 pounds and I lost about 15. This weight was strictly lost due to diet, as the only exercise we did was walking. Since then, we’ve returned to eating a wider range of food, but still opting for healthier options when possible, and smaller portion sizes. We’re also incorporating natural products that are available on the island into our routine. 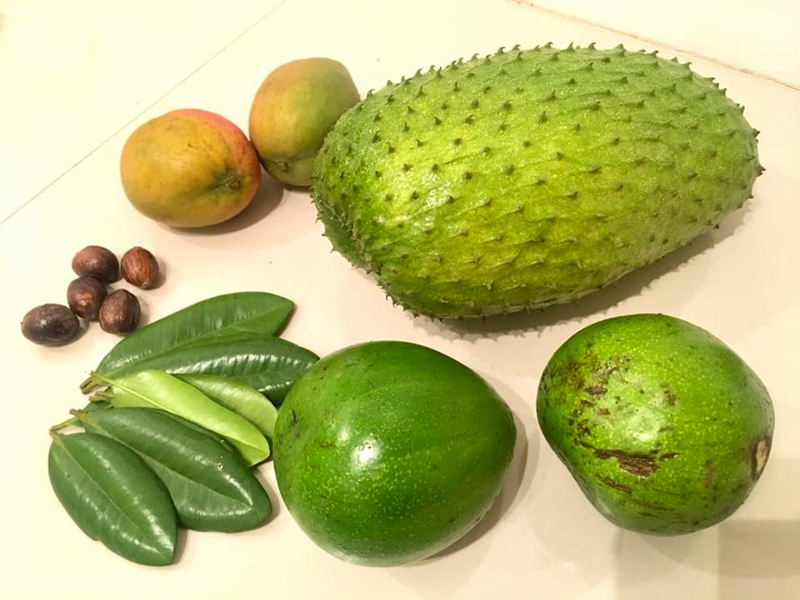 We’ve found someone who makes organic, natural soaps, and we’re eating soursop, turmeric and coconut oil – all of which offer incredible health benefits (when used in correct doses). To me, healthy living doesn’t just mean the food that we eat, or the nutrients we take in. We now get massages each week as well to help with circulation and prevent achy muscles from sitting on the computer. To add to our healthy living goal, we feel it’s important to have some downtime and relax in a peaceful environment, filled with sunshine. This is when we’re the most creative, happy and productive. We definitely feel like we put our health at the forefront this year, and plan to keep it there going forward. 2018 was an incredible year for our website. We didn’t go on as many paid press trips as last year and we didn’t receive nearly as many tours and hotel stays for free. But, we did almost triple the traffic to our website, which went from 91,000 visitors a month in November, 2017 to 250,000 visitors a month in November, 2018. That’s a 175% increase in traffic. We also more than doubled our monthly income. It was a great year! This year we also invested back into our business by hiring a team of SEO experts and guest writers. When we were first starting out and were learning how to become travel bloggers, the thought of outsourcing work seemed crazy. These days, we realize the value of hiring people to help us with things that we simply aren’t qualified to do, or to free up some of our time so that we can work on creating better articles, partnerships and products. Since we didn’t go on numerous press trips this year, we didn’t have deliverables that we were contractually obligated to create. Instead, we’ve been able to focus on writing relevant content for our brand, which ranks in Google searches and ultimately brings our site more traffic. We’ve moved away from creating YouTube and Facebook videos, and we’re less active on social media, meaning we have more time to spend on content and products. Nick created his Beginner Blogger Course, which has received a number of positive reviews! He’s currently working on his SEO For Beginners Course, which will be completed by the end of this month. These courses take a lot of time and energy, but hearing the progress our students have made and how successful they have become in such a short period of time, makes it all worthwhile. We’ve also partnered with some excellent affiliates and brands who we resonate with, and have proven to be quite lucrative. In 2018, a few brands and tourism boards reached out to us, and while we turned down some of the offers, we did agree to do a couple of partnerships – just two. One was with Mount Cinnamon Grenada where we enjoyed an amazing 2 day staycation here on the island. The other was with the Chicago tourism board where we spent a week enjoying all of the awesome things to do in Chicago. For Chicago, the deliverables were low and the trip came at the exact moment when we both said that we’d like a city break. 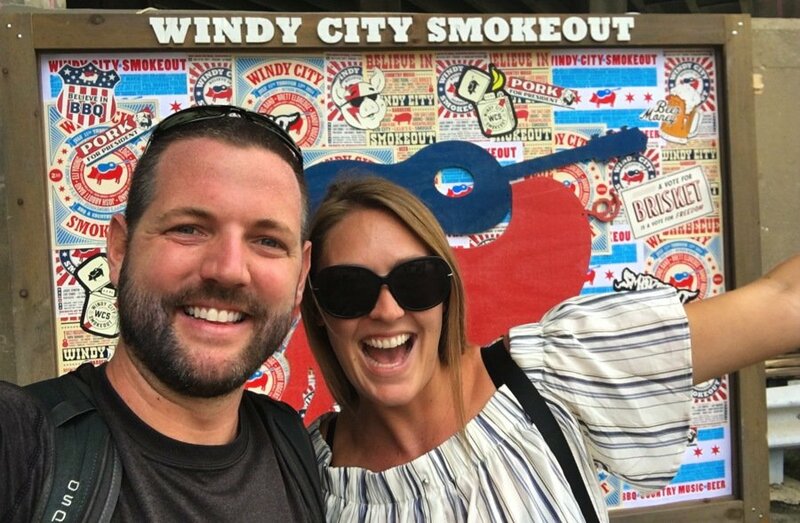 It was too good to pass up, so we went for it and are so glad we did – festivals, food and fun, it was an incredible trip. Getting paid to travel to Chicago and attend food festivals was pretty amazing! We continued our partnerships with local companies on the island, Dive Grenada and Savvy Sailing Adventure, plus, we were “models” for a few photo shoots for promotional material! Overall, 2018 was a great year for our business and brand. It’s funny how when we think of goals, oftentimes Nick and I only talk about where we want to travel and what we want from our website. But, what about our relationship?! 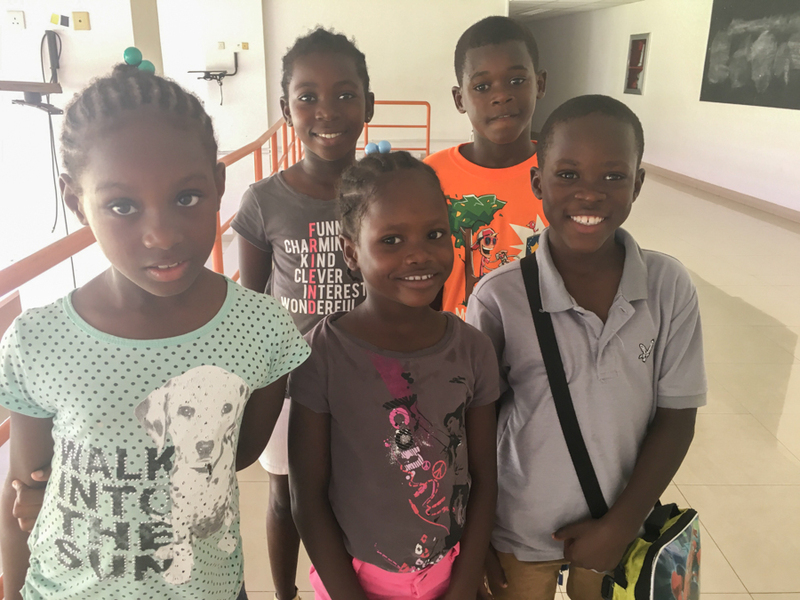 Living in Grenada has also made our personal relationship thrive and we’re learning what it’s like to “live together” again. Travelling is one thing, but living together – complete with responsibilities, bills to pay, errands to run, and routine – is quite different. Of course, we lived together in Canada, and also when we had our teaching jobs in China, but it had been a while since we spent a year actually adulting. We enjoyed volunteering with the conservation of leatherback turtles for our 11 year anniversary, while spending 2 nights at a cute little guesthouse. We’ve been on numerous walks and picnics, and enjoyed many sailing trips, concerts and romantic dinners together. On our 11 year anniversary we volunteered with turtles and explored the north end of the island – while Nick ate my hair during selfies! 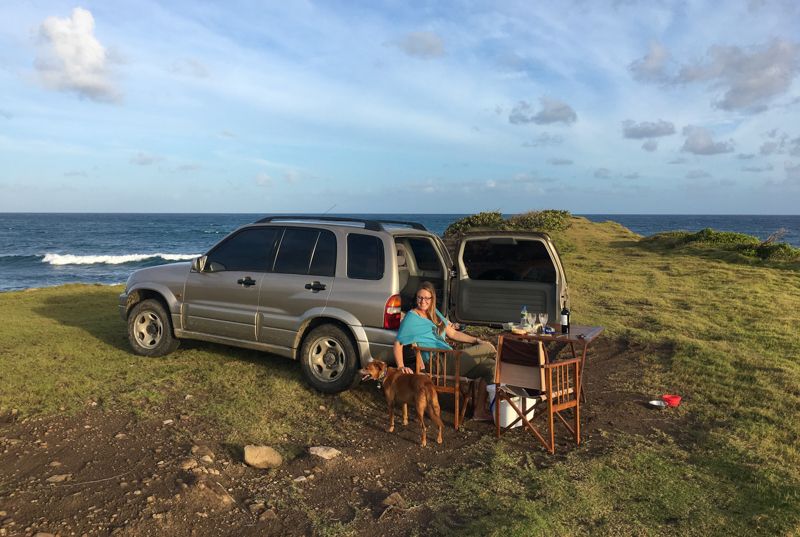 Having this year to reconnect without the stress of trying to run a business on the road, while working out travel logistics, has been exactly what we needed. It’s really strange that we didn’t visit a new country this year. We didn’t learn about a new culture and we didn’t sample any new genres of food. But, we did start the year off in Mexico and from there we flew to Grenada. We travelled to the USA (Chicago), followed by a month in Canada and a week in Barbados. 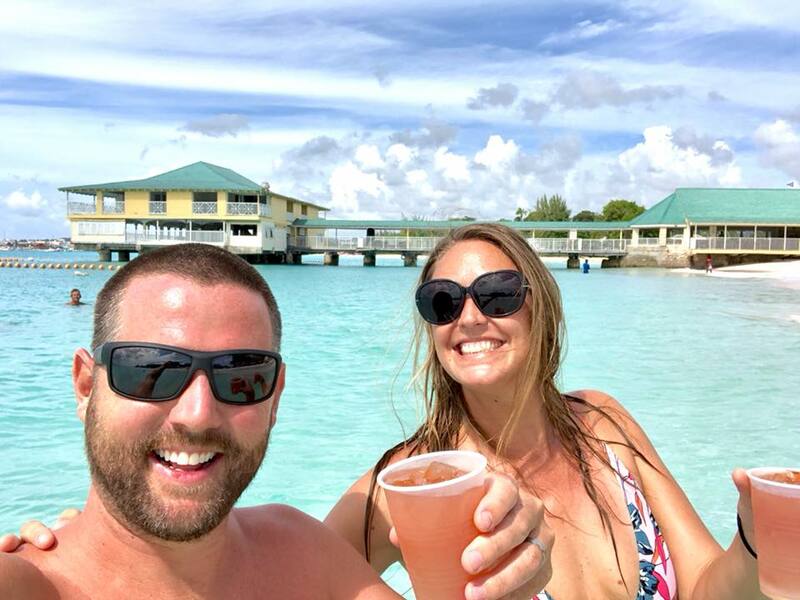 No new countries, but we enjoyed seeing a new city in the States, road tripping around our home province of British Columbia and holidaying in Barbados with our friends. In 2016 we lived in Barbados for 2 months, so it was a lot of fun revisiting our favourite beaches, restaurants and bars. Returning to Barbados was a lot of fun! Heading into the new year we already have some travel plans. We feel like our business is in a great place right now, and we’re ready to leave this Caribbean rock for a while and explore some new destinations. On February 2, 2019, we have booked a flight to Ecuador – exactly 1 year after arriving in Grenada. February 2, 2011 we left Canada to go on a 16 month trip around the world, which is when we learned how to make money on the road. We haven’t lived in Canada since. February 2, 2018 we arrived in Grenada and made it our base. February 2, 2019 we’re leaving to go travelling for 3 months. We’ll be flying from Grenada -> Miami -> Quito and cannot wait! The idea is to spend about 6 weeks between Ecuador and The Galapagos Islands and 1 month – 5 weeks in Peru. We might pop into Bolivia as well. Although our friends here aren’t very happy about it, we have booked a one-way flight (we’ll be back, we promise!) and are just going to see how it goes. If we’re loving the trip, we will stay longer. If we feel ready to return to Grenada, we will. We’ve booked some pretty incredible Airbnbs in cloud forests, mountain villages and cities. We’re really looking forward to the destinations…and the cool accommodations. We’re so excited to check out the awesome Airbnbs we have booked…this view is amazing! This trip is going to be all about hiking in the mountains, exploring colonial cities and eating new foods – basically, it’s the opposite of everything we have done in Grenada. The only thing we’re worried about is the chilly weather (well, maybe that’s just me!). We’re looking forward to not carrying everything we own on our backs. Luckily we have friends here who will store most of our stuff so we just need to bring the essentials. We’re hoping our packs are lightweight, but we’ll see what happens when we start packing. 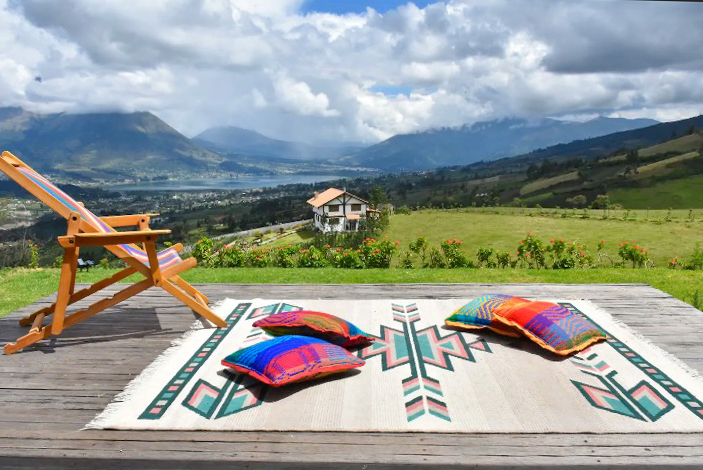 If you have any tips and advice about travelling through Ecuador, Peru and Bolivia, we’d love to hear from you! More activities. I want to take up yoga again – something I used to love but haven’t done in a long time. More swimming, more kayaking, and joining more of the hashes on the island. Exploring more of Grenada. When you live somewhere, it can be incredibly easy to take the surroundings for granted. When we lived in Canada, we rarely went to the mountains, and now that we live in Grenada, we hardly even visit the stunning beaches and waterfalls. Continue to create and provide information. We want to really focus on the content we’re writing and ensuring it’s inspirational, useful and relevant to living abroad, travelling long-term, and making money on the road. There are always ways we can improve on our content. Help out. While living here we want to do more volunteer work, and donate more money to various causes. While we’re travelling, our goal is to give back to each place we visit – either through choosing socially and ethically responsible companies to travel with, volunteering our time, or by purchasing locally made, traditional goods. These days, it’s more important than ever to be a responsible traveller. We wish you a healthy, prosperous, travel-filled year! 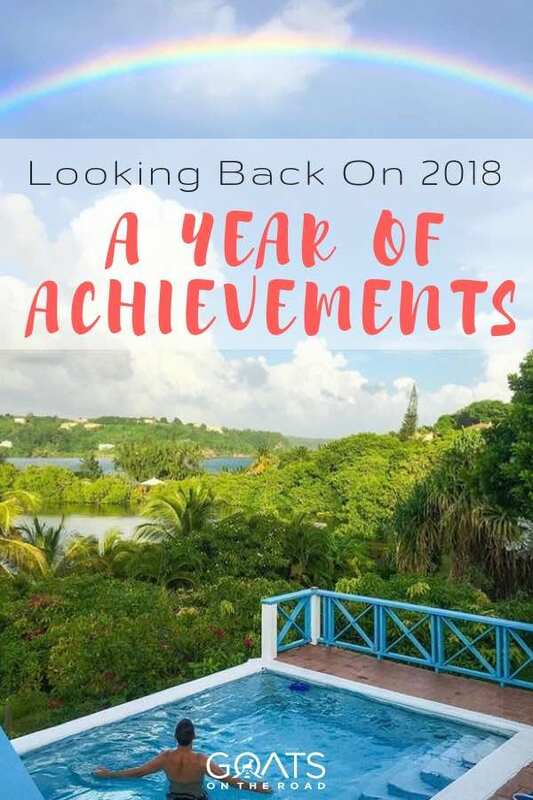 The post Looking Back On 2018: A Year Of Achievements appeared first on Goats On The Road.